December’s first mid-week gameweek saw no side keep a clean sheet for the first team this season as goals were scored by the minute. 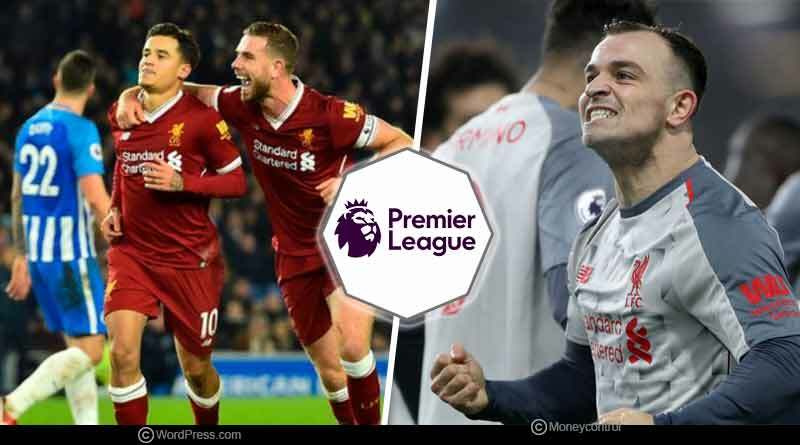 The premier league gameweek 15 was an action-packed affair with teams sparing no expense to move up the table in what is the most hectic period in the entire season. Wednesday and Thursday’s set of matches were highlighted by heavy rotation for managers in a bid to keep their squad injury fit and their players fit and fresh for a month that will see teams play 10 matches. While for some sides the rotation policy was successful, with them winning their matches despite resting several key payers, others desperately missed their star performances on the night. We begin our round-up of the premier league gameweek 15 with Wednesday night’s match between Watford and Manchester City. It was a tricky encounter for the defending champions as they were made to trudge out a had worked victory against a resilient Watford side. Pushed to their limits, City just about managed to scrape through 2-1 to stay on top of the table with 41 points. Second-placed Liverpool traveled to dismal Burnley looking to maintain the pressure of Liverpool. In what was expected to a routine win for Klopp’s men, Liverpool was made to work overtime after their squad that saw 7 changes from the side put out in the weekend failing to inspire. Burnley went into a shock lead in the second half before James Milner helping level things up for Liverpool. With his side struggling to create anything meaningful upfront, Klopp was forced to bring the big boys on the pitch with Salah and Firmino being called upon to take their side to victory. In what were the match-winning substitutions, Firmino put Liverpool into the lead before Shaqiri completed the comeback after getting on the end of an assist by Salah to register a 3-1win for Liverpool. Chelsea’s slump in form over the last couple of gameweeks continued at Wolverhampton with the London outfit going down 2-1 on the side. Not playing his full side didn’t play out as Sarri would have imagined with the visitors capitulating shockingly in the second half to gift the match to the hosts. Leading 1-0 in the 60th minute, Chelsea who were in complete control of the game, unraveled shockingly to hand over Wolverhampton two easy goals. In an underwhelming last 30 minutes, Chelsea went from a side who looked to be on a fine run to one whose problems have all of a sudden confounded ahead of their weekend fixture against Manchester City. The relegation battle saw no movement with defeats for Burnley and Southampton keeping them in the bottom third. A draw against Leicester was not enough for Fulham either who stayed rock bottom of the table.